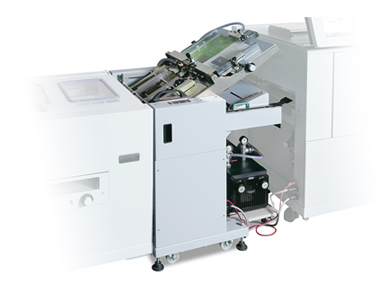 Continuous-feed printer compatibility: Based on the well-established StitchLiner 5500 technology platform, the solution offers in-line cover feeding and non-stop booklet production on a very wide range of paper stocks at up to 600 feet per minute, on pace with the speed of industry-leading continuous-feed printers. Variable booklet production: Variable sheet-count booklets can be produced using barcode scanning or mark reading. 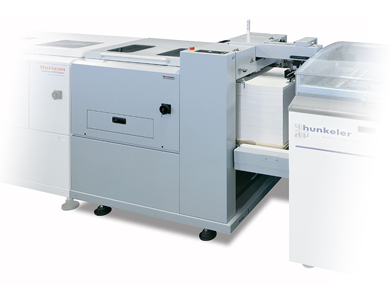 The HSF-30S sheet feeder enables you to also operate the StitchLiner 6000 near-line by feeding digitally stacked sets. Simple and quick changeover between in-line and near-line production. The HSF-30S allows a pile height of up to 19.68″ for minimal loading time. The CF-30S allows for one or two modular cover feeding stations to be added, as well as inserting a cover and up to 5 sheets anywhere in the booklet.